TomorrowWorld is the first international edition of Tomorrowland, the world’s most popular electronic music festival, held in Belgium each year. TomorrowWorld is a 3-day festival delivering innovative and immersive experiences with mindblowing décor, enchanting acts and animation, A-class camping, cozy cocktail bars and gourmet food. TomorrowWorld marks the first European festival of its scale in the USA and the first to set a minimum age of 21. Get $50 off your ticket and get VIP 3-day passes or get drink tokens when you purchase a ticket with our awesome promo codes! And follow them on Facebook for more information. The tradition continues as, once again, the Atlanta Greek Community opens its doors, its arms and its kitchens to the city with the Atlanta Greek Festival. For the 38th year, the Greek Orthodox Cathedral of the Annunciation, on Clairmont Road, will be hosting the annual Atlanta Greek Festival. There will be continuous entertainment, cooking demonstrations and Greek dancing with audience participation. Follow them on Facebook for more information. Grab your tickets now at a special Buy One Get One free price! The 8th Annual Field of Green Festival at Whippoorwill Hollow Organic Farm will be taking place on Sunday, October 6th, 2013 from 11 a.m. to 4 p.m. The mission of this festival is to invite the community to celebrate the farmers, chefs, and food producers that support local, sustainable food production. The family-friendly festival features a chef’s tent highlighting 30 of Atlanta and Athens’ best farm to table restaurants (Held from noon to 2:30pm, or until food runs out, so come early! ), an interactive kid’s village, local music, festival vendor market, craft demonstrations, a pig roast, and “Meals from the Market,” where guests are able to meet and speak to the farmers, while learning about and tasting recipes made with the seasonal vegetables that they are selling. Follow them on Facebook for more information. The first-ever Roswell Wine Festival is coming to Canton Street on Sunday, October 6th, 2013. The Festival will take place from 2 pm – 5 pm and will feature wines from your favorite Roswell hot spots. For additional details on this year’s Festival, including a list of the participating establishments, Follow them on Facebook for more information. You will not want to miss this event! Grab your tickets in advance because the price increases on September 29th! Historic Oakland Cemetery receives many visitors each day, but only at Halloween do the gates stay open after dark. Witness the magnificent final resting place of Atlanta’s sons and daughters during the Capturing the Spirit of Oakland 2013 Halloween Tours. Follow them on Facebook for more information. This Spooktacular Hot Air Balloon Festival is a family friendly event, featuring an amazing Balloon Glow (with more than a dozen hot air balloons), Trick-or-Treating, Tethered Balloon Rides, Pyrotechnic Skydivers, Harvest Beer Tents, Vendor Marketplace, Artist Market, Local Foods, Roving Entertainment, Whimsical Forest Kids’ Area, a Main Concert Stage, and more! Follow them on Facebook to learn more information. Fox Theatre Ghost Light Tours will haunt on Saturday, October 26, Tuesday, October 29, and Wednesday, October 30. The tours start at 7:00pm and run every 20 minutes until 10:00pm. The Ghost Light Tours are not recommended for children under 10 and no children under the age of 6 are permitted. Everyone must have a ticket to attend the tour. For the first time, the Fox Theatre will host Ghost Light Tours this Halloween with their resident ghosts. Travel to spaces haunted by those who loved the theatre and the ground where it sits so much, they have never left. Take a walk in the footsteps of the Confederate soldier, pay your respects to the woman of the house and hear about Roosevelt and his work keeping the Fox warm in the winter. People have seen these ghosts and felt their presence…will you? Follow the link and pick your date and time! And follow them on Facebook for more information. To kick off the city’s most anticipated food festival, Taste of Atlanta is serving up a fusion of incredible food and rockin’ music – block party style! 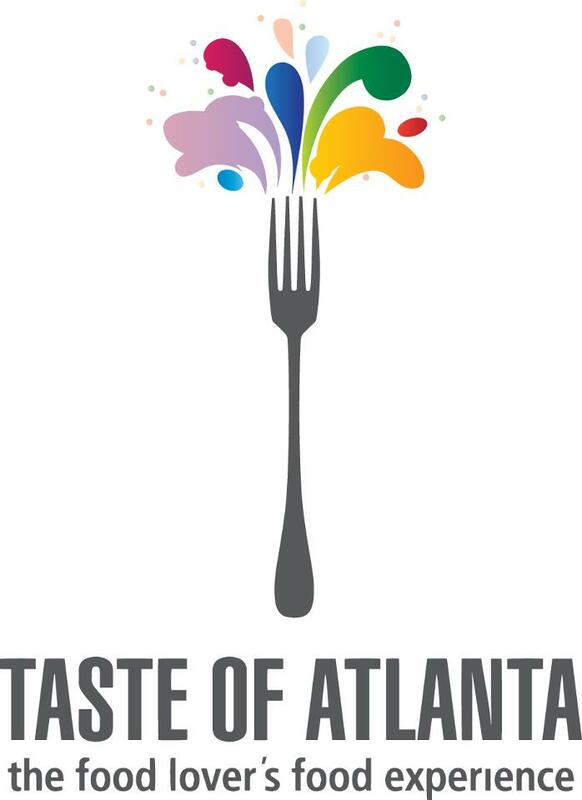 On Friday, October 25 from 6:30 – 10:30 p.m. in Midtown at Tech Square, food lovers and music fans can join Chef Host Ron Eyester and other local celebrity chefs, as they serve up specialties inspired by their favorite bands, musicians and songs at Atlanta’s Taste Revival: Local Chefs, Smokin’ Jams. The food festival will continue through the weekend with samples from Atlanta’s best restaurants and hot spots! Follow them on Facebook for more information. This may be a holiday show but we were TOO EXCITED about it to hide it any longer. Plus, tickets go on sale to Garden Members on October 1 and to the general public on October 8. Garden Lights, Holiday Nights sparkles with new imagination! Imaginary Worlds brightens the glow of the third annual extravaganza featuring a million lights. Experience all of the spectacular light displays and the Orchestral Orbs, a one-of-a-kind topiary light show choreographed to holiday music, that have made Garden Lights Atlanta’s in-town holiday tradition. Follow the Atlanta Botanical Gardens on Facebook for more information.